The order came from the ruling All Progressives Congress (APC) highest leadership hierarchy to Senators on the party’s platform, and it was direct enough: remove Senate President Bukola Saraki “by all means possible.”Having made up their mind that Saraki was a ‘dissident’ that was fast becoming a leader of internal opposition against the party’s leadership and the government, whose very important legislative arm he is heading, the feeling among APC’s top echelon was that he was a stumbling block to development of party politics. 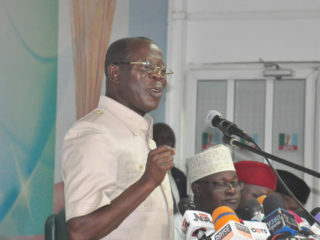 The APC leadership’s decision was part of the plan of the new helmsman and former Edo State governor, Adams Oshiomhole, to enforce party discipline among members; the lack of which the ex-labour leader said was the major factor against the party’s growth.Many of those in Oshiomhole’s school of thought believe that the leadership’s loss of control was responsible for the rise of several layers of influence to undermine the apex authority, thereby creating parallel levers of power that in most cases turn the platform into a divided house. In all the states, with perhaps the exception of Lagos, where the governor, Akinwunmi Ambode, is unable to sever the umbilical cord with his godfather and claim independence, all the governors have become lords who determine the tempo of politics in their domains to the chagrin of national leadership. Inside sources said Oshiomhole’s emergence, which is believed to have the blessings and support of the party’s National Leader, Asiwaju Bola Ahmed Tinubu, was to reduce the influence of other levers of power and create a strong leadership that can instill discipline in all party members. It is also believed that the existence of other influences outside party authority and a weak leadership under Chief John Odigie-Oyegun, the immediate past chairman, was responsible for Saraki’s emergence, through the support provided by opposition elements, as the leader of National Assembly against the party’s wish, a development that many of them believed was responsible for the lingering feud between the executive and legislative arms of government, with a high toll on governance and party politics. Coming with a background of labour activism and the will to damn every consequence to take back the party’s control, especially with backing of Tinubu’s powerful political force, Oshiomhole looked set to change the narrative and bring all other levers of influence under his authority. In the course of executing the plan, which now has nod of President Muhammadu Buhari, who has been convinced to renounce his earlier stance, in the wake of Saraki’s emergence, that he can work with anybody, the cabal of powerful individuals behind the Presidency, alleged to wield enormous authority that even sometimes override Buhari, is said to have deployed all state resources. Also, in the course of executing the plan, apart from die-hard anti-Saraki lawmakers in the Red Chamber, the party leadership dangled the carrot of reelection for many of its Senators, while those who have been identified or even suspected to have sympathy for the Senate President were marked for withdrawal of tickets. However, in the politics of intrigues that followed the Saraki-must-go plan, which involved some known pro-Saraki Senators frequenting the Villa and the APC Abuja National Secretariat to pledge allegiance, the governors saw an opportunity to also deal with perceived enemies in the Senate and build a fresh nest of loyalists by coming up with their surrogates. The result was a clash of interests between the party leadership and governors, who, in the attempt to consolidate their fiefdoms, openly challenged the party. While the Oshiomhole leadership was unyielding in its commitment to rein the governors in, it was also faced with the task of coming up with a list that could help in realising its determination to have Saraki removed. In all these, the Senators were also taking advantage of the situation to lap on the party’s desire on Saraki, either by agreeing to the proposal or using it as a blackmail chip to get fresh tickets.And coming at a very tight period, when the two dominant parties, in their race for time, are foreclosing possibility of cross-over by disgruntled Senators that may receive the short end of the stick in the bargaining, it was obvious that personal political dexterity must be employed to save individual necks. Aside the request for Saraki’s removal and the desire to retrieve the party from the vice grip of governors, there are other variables like intense power play between forces at state and regional levels that determined who eventually succeed in securing fresh tickets. Although the picture of those who scaled the hurdle was still hazy last Friday, hours after the party met the October 18 deadline for submission of final lists of candidates for the National Assembly to the Independent National Electoral Commission (INEC), many have been confirmed to have lost out in the power game that reached the climax in the last one week. 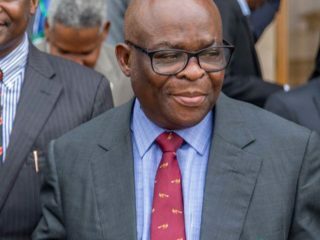 In Lagos State, where Tinubu, the main protagonist of Oshiomhole’s take-it-back and Saraki-must-go plans holds sway, the Senator representing Lagos East, Gbenga Asafa lost the bid for reelection, allegedly because of suspicion that he may be sympathetic to Saraki, while attempts by Ondo governor, Rotimi Akeredolu to deny the Senator representing Ondo North, Robert Ajayi Boroffice a third term ticket was foiled by the national leadership. Boroffice is a known anti-Saraki Senator, who was denied a principal position at the commencement of the 8th Senate because of his preference for party directive that didn’t favour Saraki, and he parted ways with Akeredolu in the aftermath of the governorship primary elections he lost to the governor two years ago. But because he sought the protection of Oshiomhole, who was bent on returning all anti-Saraki Senators to carry out his plan and the support of Tinubu, who of course is not on the same page with Akeredolu in APC Southwest politics, Boroffice got his ticket while the governor’s preferred aspirant, Dr. Tunji Abayomi was left in the cold. In Kaduna, it was a battle between Senator Shehu Sanni and Governor Ahmed el-Rufai, and the Senator had to drop his open tacit support for Saraki, refused to follow him to the PDP as allegedly planned and sought the Presidency and the party leadership’s support. After a protracted political scheming that allegedly got Sanni to support the position on Saraki, he was eventually given the clearance to contest a second term. Like Asafa in Lagos, examples of other APC Senators who lost to the power play that put them against superior forces are Lanre Tejuoso and Rilwan Akanbi, whose seats were desired by their governors, while many, because of other variables like local political configurations, did not secure fresh tickets. Yet there are others like Hope Uzodinma of Imo West, who, because of higher political interests, refused to seek reelection into the Senate. 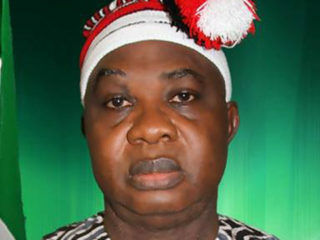 There are also those whose seats were negotiated away in new political configurations, such as Fatima Raji Rasaki of Ekiti Central, whose seat was reserved for Opeyemi Bamidele, a former member of the House of Representatives, who escaped death by the whiskers, when he was hit by a stray bullet during the pre-election declaration campaign for the new governor, Kayode Fayemi. 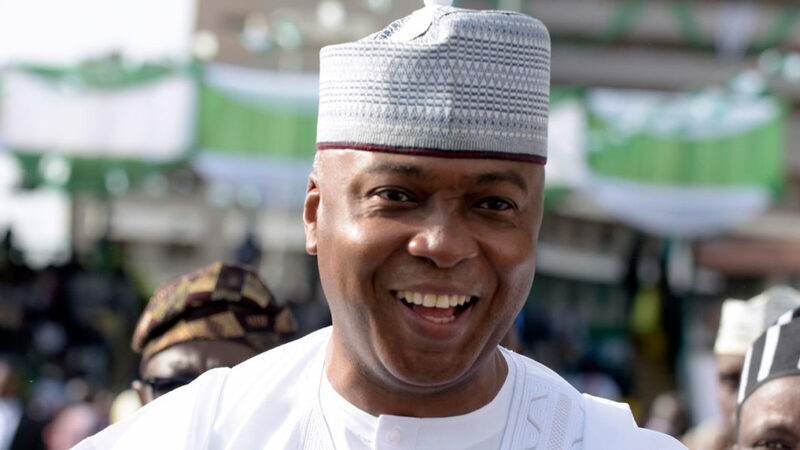 With about 42 Senators not seeking or losing fresh tickets across the political parties and a substantial number of them in the APC, and the rest seeking to contest in an election that is already putting the two leading parties almost neck-to-neck, it is clear that the call by the party leadership for Saraki to be removed “by all means” has hit the rocks. This is so because many of the lawmakers in the current political realities have no strings attaching them to the outcome of the party’s decision, as most of them would be at home in a tranquil chamber devoid of bitter bickering that may again result in scaling of fence to gain access. And if the party leadership is bent on having its decision implemented on Saraki, there is the possibility that the anti-Saraki Senators may found themselves a small minority that will find it difficult even to mobilise colleagues on the same side of the aisle.It is in light of this that the volte-face of the Senate Leader, Ahmed Lawan that the Senate has decided to drop the idea of removing Saraki should be viewed. Lawan, at the special convention to ratify Buhari’s candidature barely 72 hours to resumption of the Senate penultimate Tuesday, had vowed that the first agenda of APC Senators would be to remove Saraki “and heaven will not fall.” He now sings a different and conciliatory song. And some of the lawmakers, whose subterfuge plan was to create a false impression of amity for the Senate President to drop his guard, may have realised the futility of the proposal and have been forced by circumstances to embrace the peace option. Indeed, the peace option is aiding governance and thawing the frosty Executive/Legislative relations with the passage of many bills and approvals of some appointments last week alone, confirming assertion that democracy can only grow without unnecessary frictions between state institutions.